How to sync custom fields in Outlook from SharePoint Task List? 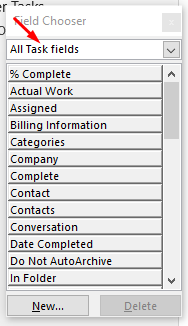 How to sync custom (Description / Company) fields in Outlook from SharePoint Task List? Hello, Today I'm going to show you, How you are going to sync/show the description field in your outlook task view. I was going through this issue and search online but did not find any proper solution so I thought I should show how to Display SharePoint Custom Columns in Outlook. 1- First open your Outlook go to the Task View. In the below Image you can see the Outlook Task view. In this, we do not have Task Description. Let's start. 2- Right click on the Task View pane and choose Field Chooser. 3- Now it will open a popup box like below Image. 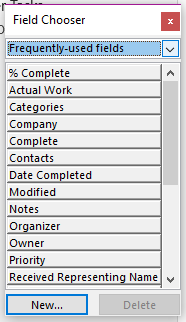 4- You have to choose All Task Fields option from the Dropdown list. It will show the fields below. Nowadays Chinese companies are introducing their subbrand like Huwaei has Honor, Oppo has Realme and Xiomi have POCO and RedMi as sub-brand. Now Vivo has also entered in this race and planning to launch IQOO as their sub-brand. A report from MySmartPrince Vivo has created a social media page for IQOO. Although it is not clear now that Vivo has made it. But IQOO's website has written Vivo's company history in short. According to the report, IQOO's account is created on the Chinese microblogging website Weibo. A post has been posted where, 'Hello, this is IQOO' is written. If we search Iqoo.com on google then it is showing Vivo above the link. Not only this, even after opening it, Vivo's branding is showing on the page. At the top of the page is written VIVO. When you want to develop a Web Application in a very less time and effort, then you search the best way to develop. Web Frameworks are libraries that help you develop your application faster and smarter. However, there are few things to be considered while choosing the best frameworks for your project. Nowadays, There are so many Web Frameworks are available but we are going to choose the top 5 frameworks for you. This is one of the most popular web frameworks written using the Ruby Programming language and executed on Linux. It follows the Model-View-Controller (MVC) architecture. The developer can develop an application at least ten times faster with Rails than a typical JAVA Framework. This is another framework that helps in building quality web applications. It provides a clean and pragmatic design to the database-driven websites. This open-source framework is based on the Model_View_Templates (MVT) architecture. Laravel is a framework which is written in PHP and like all other modern frameworks, it also follows the Model-View-Controller (MVC) architecture. It values simplicity and readability. The developer can start learning and developing Laravel with Laracasts. They have so many tutorials and Videos. It is a flexible and fast Node.js web app development framework that provides a robust set of features for web and mobile applications. A large number of known frameworks of Node.JS like ItemsAPI and Bottr are based on Express. So far we have seen some of the best and widely used top web frameworks. Apart from these 5 frameworks, there are so many others like ASP.NET, Flask, Spring, CodeIgniter, Symphony are also worth mentioning. Which frameworks are you going to use in your web application and why? let us know in the comment section below. That's all for now. Let me know if you any question. I will try to help you with that. If you find this blog post helpful then Please share it with your friends on social media. Thank you. Connect to QuickBooks Online using Microsoft flow custom connector. In this article, you will learn how to connect to QuickBooks Online (QBO) from Microsoft Flow using a Custom Connector. This approach provides a way to build forms in Microsoft PowerApps that integrate with your accounting data stored in QBO for things like recording employees timesheets, creating invoices, etc. This article demonstrates how to update a SharePoint list item from a value in QBO. Specifically, the Flow will look up the customer name based on the customer ID entered into the SharePoint list item. Please follow the Article I have tried to cover each steps. There is two way to import the Quickbook Postman Collection. 1- We will try to import collection directly from the POSTMAN. Now Click on the API Network and Type Intuit in the search box. 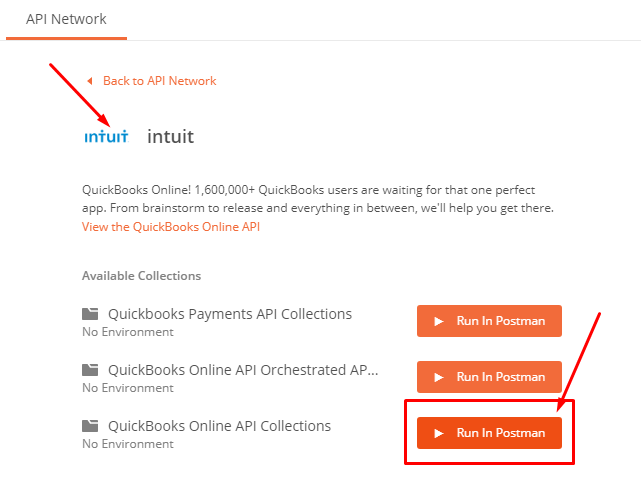 Click on the Intuit, It will open the API Collections and Then click Run in Postman button from QuickBooks Online API Collections. Quickbook Collection will be imported into the Postman Collection Tab Now. 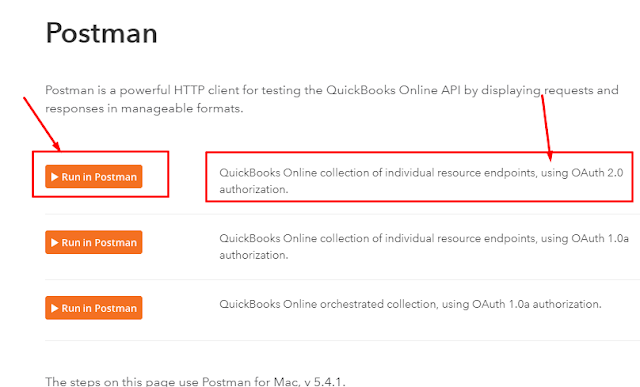 Click on the Run in Postman button from QuickBooks Online collection of individual resources endpoints, using OAuth 2.0 authorization. 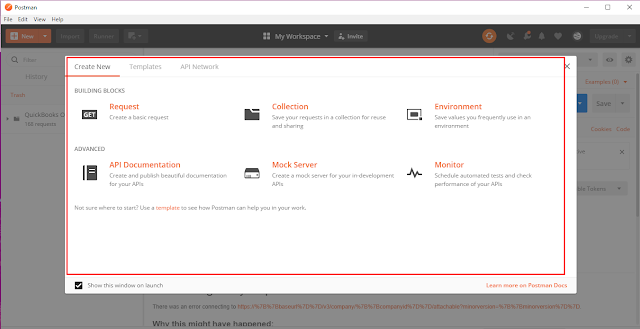 You should see the new imported collection in Postman collection Tab. If you have an old Blogger profile and you want to delete it because you are not posting anything there? Okay, So I will tell you how to delete/backup your blogger account. 1- Do you want to back up your data before deleting? You may not want to completely erase your old blog. You can download a backup of your blog's posts and comments on your computer before deleting it by following these steps. Sign in to your Google Account and go your Blogger Admin page. Click on the Down Arrow located in the top left. You can see in the Screenshot there is all the list of blogs. 3. Click on the name of the blog which you want to backup. It will open the blog. 4. In the left pane. click on the Setting then Other. 5- Now click on the Back up Content from the Import & back up section. 6- Click on Save to your Computer button from the dialog box. Now, your posts and comments will be downloaded to your computer as an XML file. 2- Do you want to delete your Blogger Blog? Now, you have backed up your old blog and Now want to delete it. Just follow a few more steps and your blog will be deleted. 1- In case if you are not logged in to your google account then Login and go to Blogger Admin (you may already be there if you have followed the above-mentioned steps). 2- Click on the down arrow button from the top left and choose the blog you want to delete. It will open the selected blog post page. 3- Now from the left menu pane, select Setting then Other. 4- In the Delete Blog section, click on the Delete Blog button. 5- After clicking on the Delete Blog button, It will open a dialog box and You will be asked if you would like to export the blog before deleting, If you haven't done this yet but want to do it now, click on the Download Blog button. Otherwise, Click on the Delete This Blog button. After Deleting the blog, It will no longer be accessible by visitors, but as you can see in the Above Screenshot you have 90 days during which you can restore your blog, after 90 days it will be permanently deleted. If you want the Blog completely deleted immediately, you don't have to wait for 90 days, you can do it now. 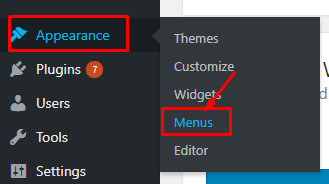 How to open menu links in a new tab? 1- Go to Appearance and then Click on Menu. 2- Menu page will be opened. There is no option for open your menu in New Tab or Window. 3- From the Menu page Click on the "Screen Option" link in the top right corner. In this article, we will see how to create a Linux virtual machine with Xfce desktop step by step. Xfce desktop is very lightweight and easy to use for a Windows user. If you don't have an Azure subscription, create a free account before you begin. In the Basics tab, under Project details, make sure the correct subscription is selected and then choose to Create new under Resource group. In the pop-up, type myResourceGroup for the name of the resource group and then choose OK. Under Inbound port rules > Public inbound ports, choose Allow selected ports and then select SSH (22) , HTTP (80) , HTTPS (443) and RDP (3389) from the drop-down. Leave the remaining Tabs defaults. select the Review + create button at the bottom of the page. On the Create a virtual machine page, you can see the details about the VM you are about to create. When you are ready, select Create. After some time our VM will be created successfully. Navigate to the Icon. click on the go to Resouce after successfully deployment. If you check in the inbound port rules in the Networking tab, we can see below rules are added. Now, our VM is ready to connect with RDP and SSH. Now we have to option to istall Xfce desktop. Now go Back to Azure VM and Click on Overview Tab and then Click On Connect. Now Click on the SSH and then Copy Login VM using Local Account detail. and Paste that in the CMD and Press enter then type Yes and again press enter and Now type your Password which you created. Now You will see like this that means you are now logged in UBUNTU. Now, we are going to install the Xfce desktop. Xfce is a lightweight desktop for Linux operating system. Please type below command in the CMD. This will check the latest version of Ubuntu and will install it from the global repository. Now, we are going to install Xfce the desktop. Please type the below command in the CMD. As we know, Xfce is a package and needs additional disk space. So it will ask for a confirmation like below. One more step -- you need to establish a remote connection. This can be done by running the following command to make the changes. You can connect our Linux VM from any of the Windows systems using RDP connection. For that, you can download the remote connection shortcut from the Azure portal. Please click the Connect button in the overview pane and choose the RDP section as given below. Open RDP file. It will ask for the username and password. Please give the correct details. Finally, our Xfce desktop is ready to use.